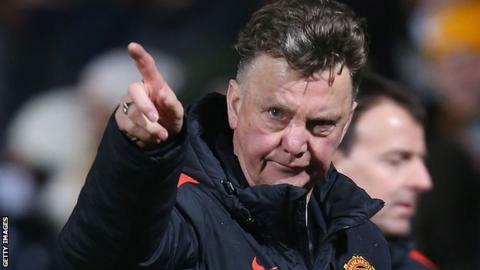 Manchester United manager Louis van Gaal has said he plans to contest a Football Association disrepute charge. The Dutchman, 63, was charged after claiming the referee was against his side during the 0-0 draw at FA Cup fourth-round opponents Cambridge. Van Gaal said: "In 30 years as a trainer-coach, I've never been charged. I do not think I said something wrong." United won Tuesday's replay at Old Trafford 3-0 to set up a fifth-round tie at Preston North End. After the game at the Abbey Stadium, Van Gaal told the BBC's Match of the Day: "Every aspect of a match is against us - the pitch, the referee." He later repeated the accusation, adding: "You have seen the referee. It's always the same. "Everywhere I have coached these games - and I have coached them also with other clubs - it's always the same." The FA charge states that Van Gaal's words "allege and/or imply bias on the part of the match referee and/or bring the game into disrepute". Van Gaa told reporters on Friday that he was not angry but very disappointed to have been charged. United travel to West Ham on Sunday in the Premier League. "I cannot imagine the FA has charged me. But, okay, it's like that. Of course I will contest it. "I never said anything wrong. You can confirm, as the media, that I never say anything about the referee, in all the matches I have played." "I represent the club nowadays as a manager and I represent my group of players. There was also a group of players who gave a lot of joy to the people at that time. I think they played a big part in the history of this club. "I think we have to remember that always. We have made the right decision to be there, out of respect to the players and [Sir] Matt Busby." "I said at the beginning of the week, before the game against Leicester, that this shall be an important week, that we had to win all three matches. "We beat Leicester to go third, after that we beat Cambridge, so we are in the next round of the FA Cup. Now we have to continue."